Mutual funds can be classified in many different ways. One of the most common distinctions among them is whether or not they carry a sales charge, or “load.” This fee is charged when an investor either purchases or redeems fund shares and is paid either to the broker who put in the order or directly to the fund company. The load vs. no-load issue is a major factor for investors to consider when choosing a mutual fund. No-load funds come in all shapes and sizes, and there are a multitude of offerings available to achieve any given investment objective. They essentially mirror their load-bearing cousins in all forms except that there are no sales charges assessed to the investor. There are stock, bond, real estate, sector and specialty funds that provide growth, income, capital preservation and tax efficiency. The only difference is that they are generally cheaper than load funds and also often (but not always) carry lower annual expenses. This is in fact the chief advantage that they offer over their load-bearing counterparts, and most no-load fund families stress this point heavily in their advertising. The standard sales charge for most load funds is somewhere between 4% and 6% for purchases of up to perhaps $25,000 or $50,000. This rate is usually reduced for larger purchases, and most load funds will waive the sales charge for purchases of $1 million or more. The cost savings for no-load funds is therefore more pronounced for smaller purchases by individual investors. There is also another class of funds known as load-waived funds that also do not charge a sales load on either the front or back end, but they do charge an annual 12b-1 fee that comes with load funds. These funds therefore tend to have slightly higher annual expenses than no-loads but are still usually much cheaper than load funds. Be sure to see the Complete Guide to Mutual Fund Expenses. The first no-load mutual fund appeared back in the 1970s, about 50 years after load funds were first introduced to the public. The first no-load fund was an index fund, which later became the backbone of the Vanguard fund family. More no-load funds soon followed, and they have steadily grown in popularity ever since. Today there are thousands of no-load funds offered by many fund families across the globe. Be sure to read A Brief History of Mutual Funds. Perhaps the biggest drawback that no-load funds may produce is the temptation to trade in and out of them too often. The absence of a sales charge may make them seem similar to money market funds, where cash can be moved around at no cost on a daily basis with no risk. 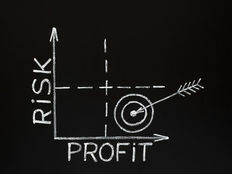 But most no-load funds do come with risks of various types, so moving in and out of them on a regular basis can result in losses that could have been avoided using a buy-and-hold strategy. The lack of a sales charge also does not guarantee that a no-load fund will automatically perform better than a similar fund that comes with a sales charge. In fact, studies conducted by Morningstar in the past have indicated that any difference in returns that comes from the difference in fees that are paid to buy a fund generally disappear after about 5 years. 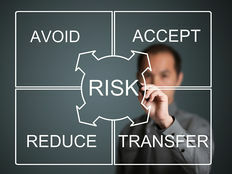 Another limitation that they offer is that many stockbrokers and financial advisors who work on commission are not inclined to use these funds with their clients, as they do not get paid anything for to do so, which means that clients will not be shown funds that might be superior to the load-bearing vehicles that are marketed to them instead. Be sure to see the 10 Biggest Mutual Fund Investing Myths Debunked. However, no-load funds are ideal for more sophisticated investors who are able to search for and analyze funds for themselves and don’t want or need to pay a broker or advisor to work for them. There are several well-known fund families that specialize in no-load offerings. As mentioned previously, Vanguard is one of the leading no-load fund providers in America and elsewhere, and its S&P 500 Index Fund is still perhaps the best-known fund in this category. T. Rowe Price is another major player in the no-load arena with several outstanding funds. Kiplinger’s also periodically publishes lists of its favorite no-load funds breaking down the top offerings in several different categories. For 2014, the winners for large cap stocks include Dodge & Cox’s Stock Fund DODGX and Fidelity’s New Millennium Fund (FMILX). Akre Focus (AKREX) and Baron Small Cap (BSCFX) are the top two funds in the small- and mid-cap category and Cambiar International Equity (CAMIX) and Dodge & Cox International Stock DODFX head the list of international funds. 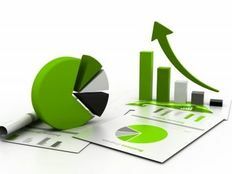 They list the two best specialty funds as FPA Crescent FPACX and the Merger Fund (MERFX), while the Doubleline Total Return (DLTNX) fund heads the list of bond funds. See our list of the Cheapest Mutual Funds for Every Investment Objective. Morningstar also ranks and categorizes virtually every mutual fund in existence in its database. Users can search for funds that meet a wide variety of criteria, such as load vs. no-load, star rating, investment objective, performance history and many more. No-load funds were originally predicted to fully supplant their load-bearing predecessors. That has not been the case, as load-bearing funds have maintained a solid role in the investment marketplace and appear to be poised to continue to do so for the foreseeable future. And while their expenses are certainly lower than their load-bearing counterparts, investors need to consider many more factors than mere sales charges when comparing specific offerings. Be sure to consult your financial advisor for more information on no-load funds.